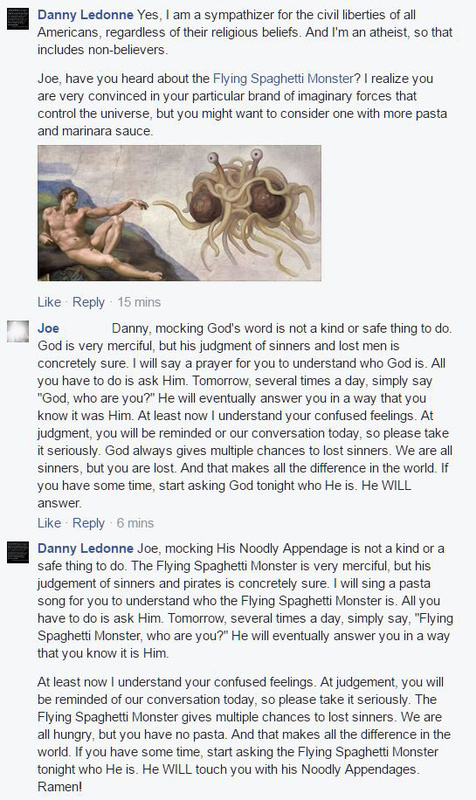 Has anyone else tried the "copy+pasta" debate technique with the Flying Spaghetti Monster? How does it usually go over? I'm not trying to be uncivil; I am trying to demonstrate that these parallel paragraphs have an identical amount of evidence to support their claims: zero. Although at least we know what a bowl of spaghetti looks like when tossed into the air.